Cranbrook, BC (June 14, 2018) – If you own an RV, camper, boat or trailer, please help keep our streets accessible and safe by finding other places to park them when not in use, instead of parking on City streets. Trailers blocking driveways and using limited on street parking for long periods of time are regular complaints received by the City’s bylaw services through the spring and summer. The City’s Streets and Traffic bylaw helps provide some regulation to on street parking, which is designed to help keep our streets safe and accessible for both vehicle and pedestrian use. The bylaw indicates there should be no parking of any unattached trailers on the street. 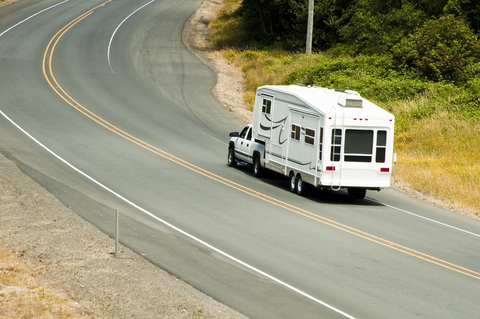 Attached trailers and recreational vehicles can be parked on the street only during the hours of 3:00pm to 10:00pm. The City is committed to the safe mobility of our residents and visitors either on foot, on bicycle or in vehicles. By keeping sidewalks and streets unobstructed by finding places off-street to keep your trailers or campers and not tying up parking for long periods or blocking driveways, we can continue to keep our streets safe and accessible for everyone.